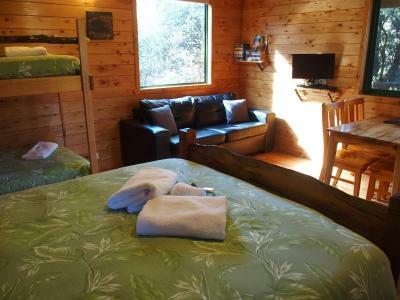 Lock in a great price for Cradle Mountain Highlanders – rated 9.5 by recent guests! 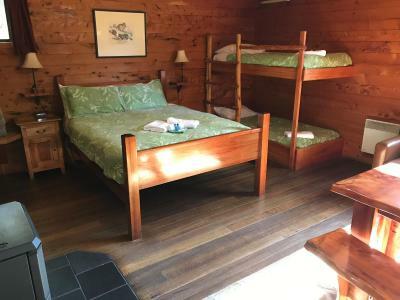 The cozy cabins are located in the forest and very private. We had wildlife on our deck. It is also very close to the Park Headquarters which is convenient for catching the shuttle bus. The cabins had everything we needed. 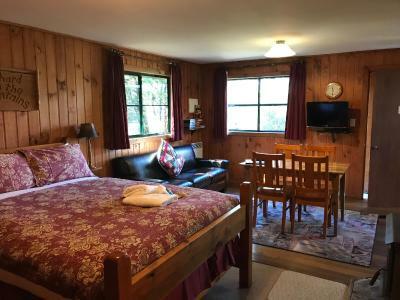 Cozy cottage, close to the park and visitor center. It was close to perfect. 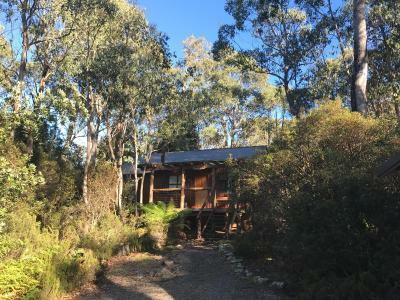 Roomy, well equipped, private bushland setting. The staff were very friendly and helpful. Wish we were staying a week not just a night. 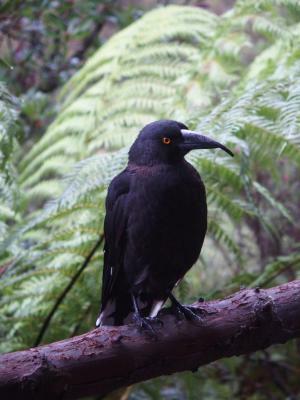 It is great to be so close to the national park, so you can enjoy the wildlife also after 6pm. 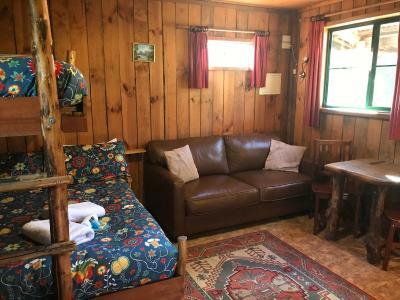 The cabin is spacious and comfortable. The staff very friendly and helpful. Awesome cabin. I stayed at 'brush tail'. Very private and spacious cabin. 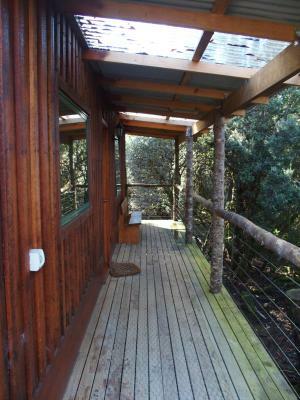 Ideal for relaxation and enjoying the fresh air and the friendly local wildlife. 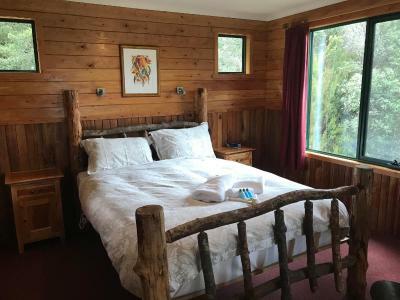 This is by far the best place we've stayed in Tasmania so far - we've been here a while! The accommodation was perfect. Perfectly equipped, with plenty of tea/coffee etc & extras like a hairdryer that you would only expect in top notch places. Loved the fact that fire was lit for us so that cottage was warm on our arrival. 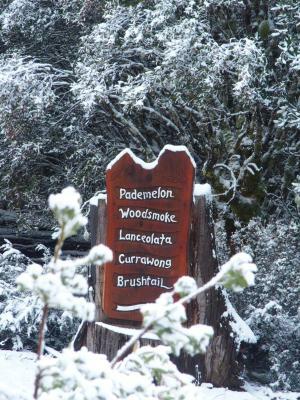 Only a few minutes to drive to the entrance of Cradle Mountain NP. Cannot praise it enough! 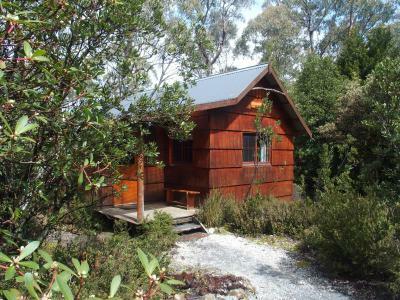 The bushland setting and the timber cabins were spectacular. They had everything you can think of including DVD’s if the TV reception failed due to remote location. 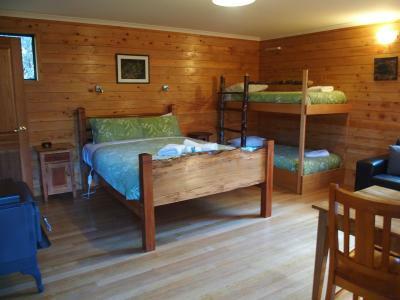 The property also had a beautiful upstairs loft with the master bedroom and another room with 4 bunk beds. 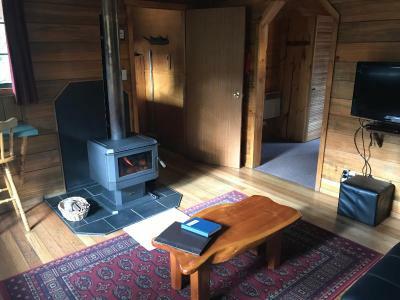 The gas heater was cosy and warmed the whole cabin. 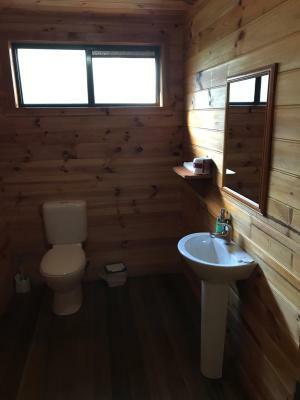 The bathroom was spacious and well appointed. Limited WiFi was available. 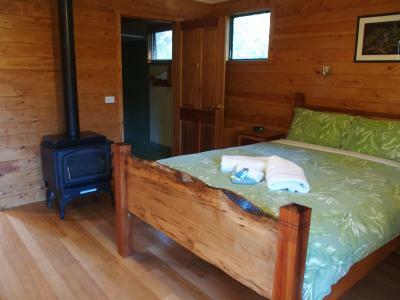 Cradle Mt is such a beautiful wilderness area and the cabins blend in so well. The Highlanders is across the road from the Visitor’s Centre. 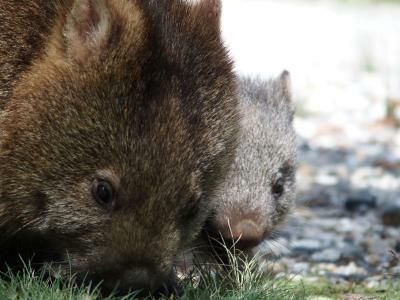 Wildlife are found in the grounds - Pademellon Wallabies and Wombats at morning and dusk. The staff were most helpful when we booked because my husband is on a walking cane. They checked we would be fine with the loft stairs and bathroom downstairs at the time of booking. 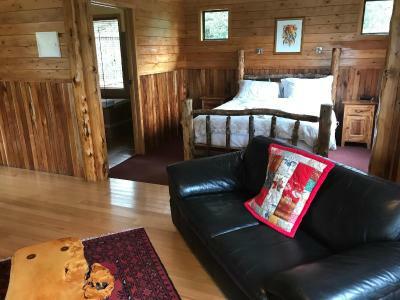 Very romantic and private cabins. Close to the park entrance. 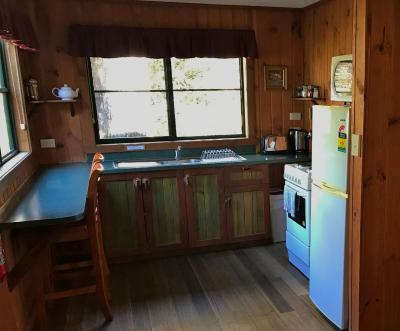 Very spacious and well equipped kitchen. I am only sorry we could not stay longer. 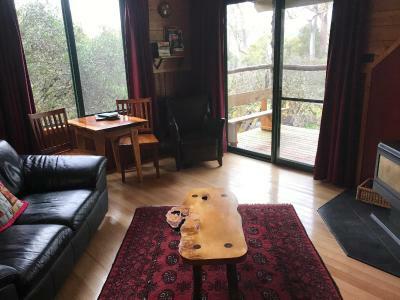 Cradle Mountain Highlanders This rating is a reflection of how the property compares to the industry standard when it comes to price, facilities and services available. It's based on a self-evaluation by the property. Use this rating to help choose your stay! 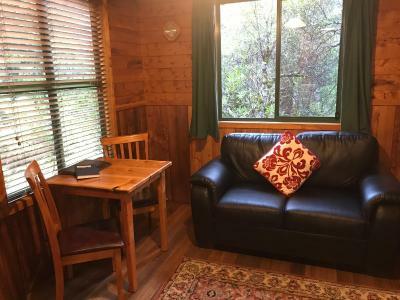 The Cradle Mountain Highlanders offers secluded cabins on the edge of Cradle Mountain National Park. 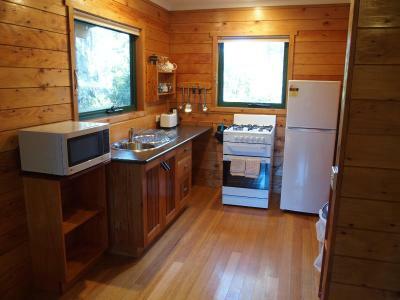 It provides convenient kitchen facilities and is a 5-minute drive from the park’s entrance. 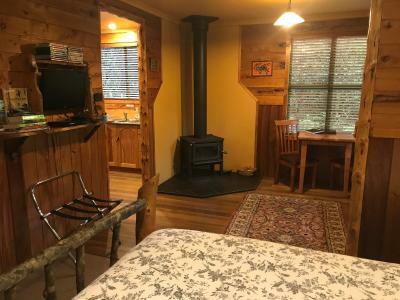 Each of the unique cabins at Cradle Mountain Highlanders has cozy interiors, including a fireplace. 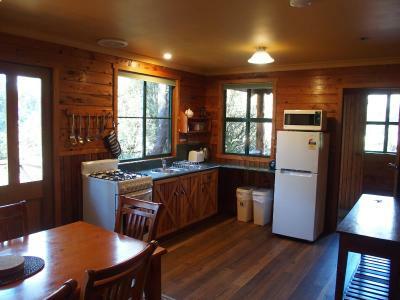 All cabins are lined with beautiful Tasmanian timber and have full kitchen facilities. Some units have a luxurious spa tub and mountain views. 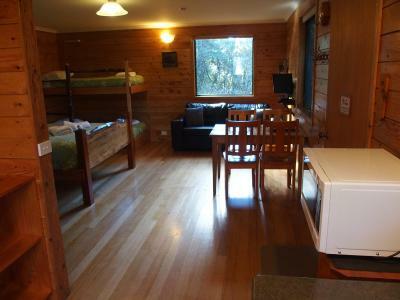 There is a communal barbecue area, with a sheltered area, as well a guest laundry. Free parking is available on site. 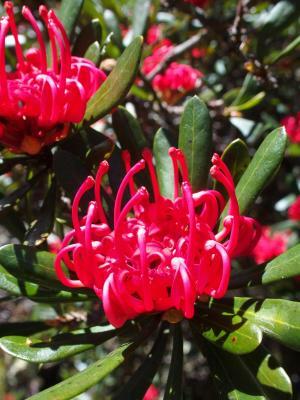 Cradle Mountain Highlanders is 650 feet from the Cradle Mountain Information Centre and Shuttle Bus Terminal. 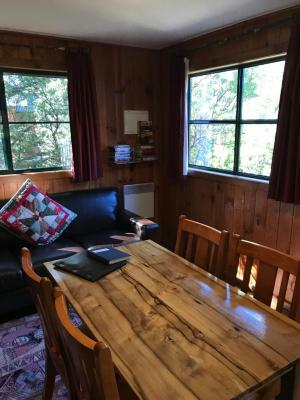 When would you like to stay at Cradle Mountain Highlanders? 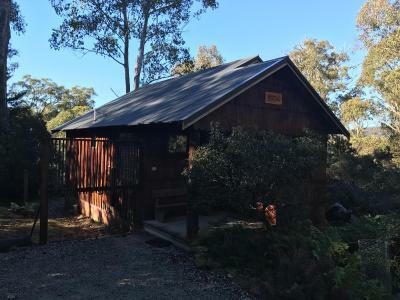 This luxurious open-plan cabin features Cradle Mountain views, a fireplace, a walk-in shower and large rectangular spa tub with forest views. This rustic open-plan cabin features a private porch and a fireplace. This open-plan cabin features a spa tub, a four-poster bed and a fireplace. 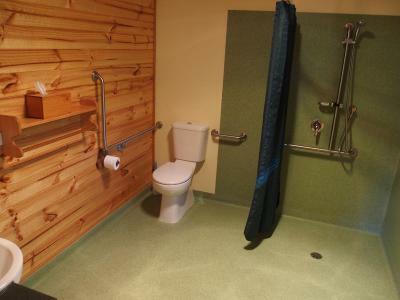 The spacious bathroom includes a corner spa. 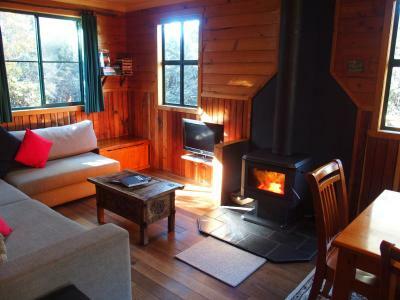 This cottage features a spacious open-plan kitchen and living area with a fireplace. This open-plan features a spacious bathroom with a corner spa tub. 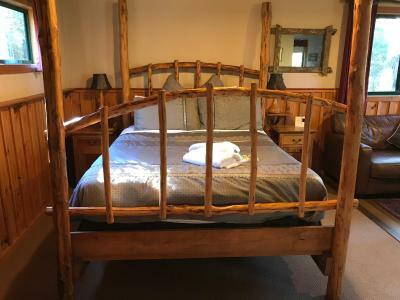 It has a queen bed and a fireplace in the main living area, a full kitchen and a separate bedroom with another queen bed and its own toilet. This 2-story cottage features a kitchen, a living room with a fireplace, and a bathroom downstairs. 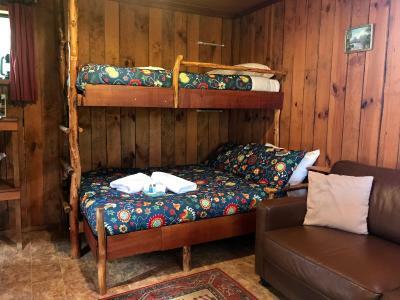 The loft level has a has a queen bed and a small room with 4 bunk beds. 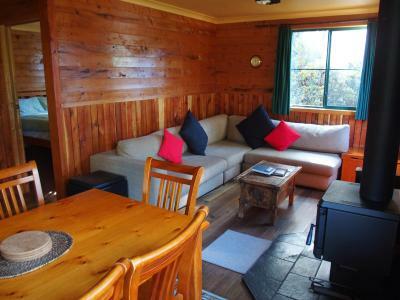 This cottage features a lounge and kitchen area with a log fire and a sofa bed. 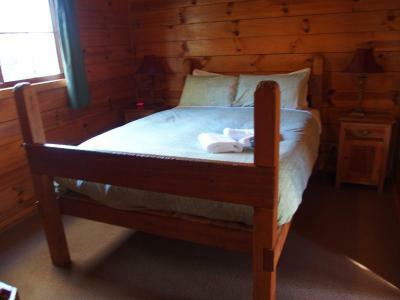 It also has a separate bedroom and a spacious bathroom with a shower and a bathtub. 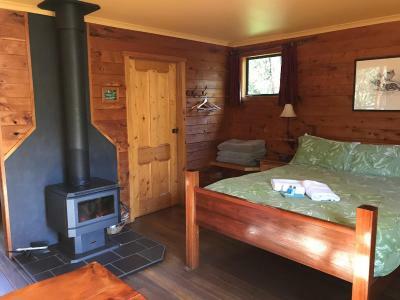 This cottage features a lounge and kitchen area with a fireplace, as well as a separate bedroom and a spacious bathroom with a shower and a bathtub. 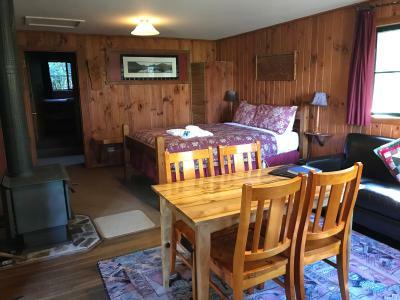 This studio cottage has a well-equipped kitchen, a cozy lounge and a bedroom area with a fireplace. 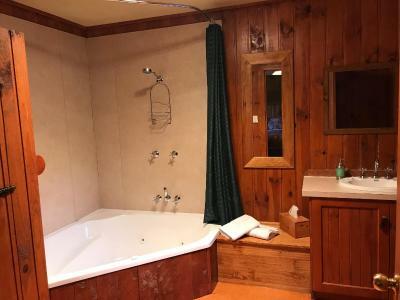 The bathroom features a shower and a bathtub. 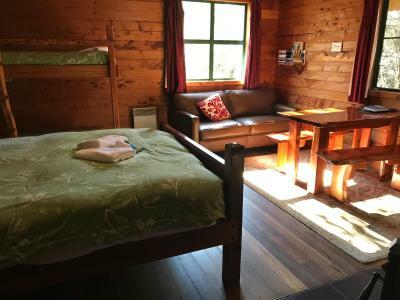 This small, self-contained studio features a private bathroom and a double bed with a single bunk above it. This open plan studio features a porch and a gas fireplace. 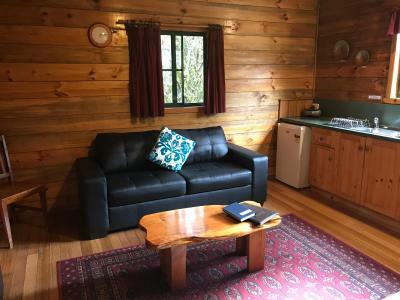 It has a lounge area with a TV and a DVD player. 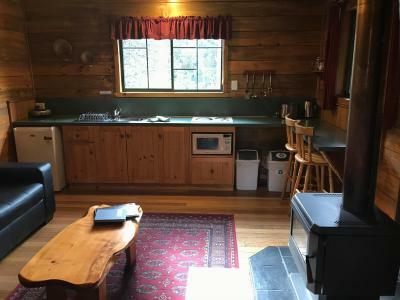 The kitchen has an oven and a microwave, and there is a separate bathroom with a walk-in shower. 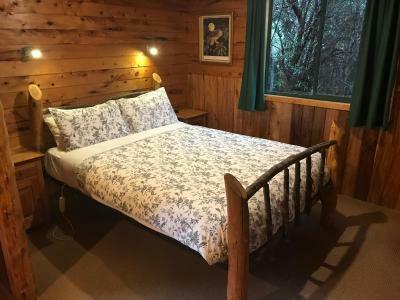 House Rules Cradle Mountain Highlanders takes special requests – add in the next step! Cradle Mountain Highlanders accepts these cards and reserves the right to temporarily hold an amount prior to arrival. 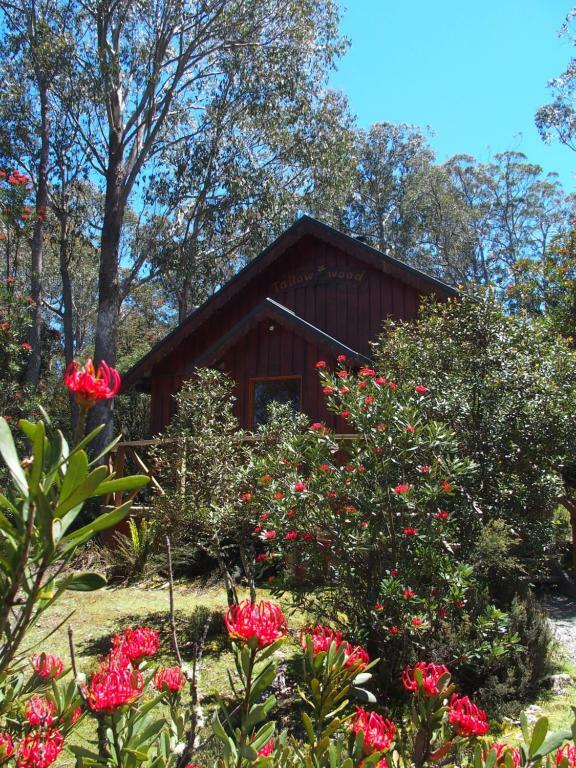 The location is perfect for those wanting to be close to cradle mountain. Self contained cottage within the bush . Lovely wood fire with additional heating. 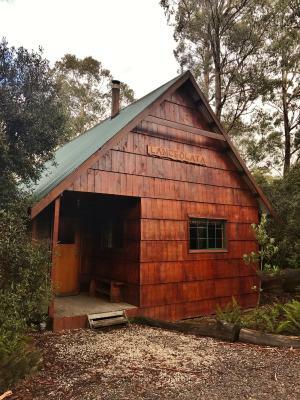 This place is a hidden gem of Cradle Mountain! The overall vibe is super cosy and family-friendly. Don't make the same mistakes as we did - you can buy wine at the reception and there's a good selection. We were too tired to just turn our heads to the right and find this. Staff is very helpful and supportive - we had a slight issue with our tyres and they were happy to fix it. We'll come back again for sure! Staff were so friendly and keen to help us get the most from our stay in this beautiful area. Loved the individuality of the 2 cottages we stayed in. Both were very clean and well equipped. Perfect in every way! Cosy, cute and charming. 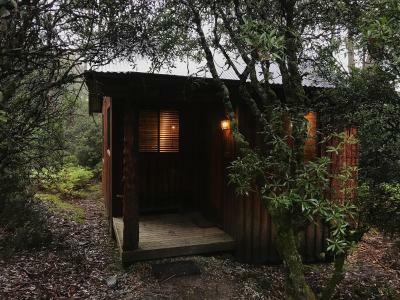 Such a cosy place to stay in the forest. 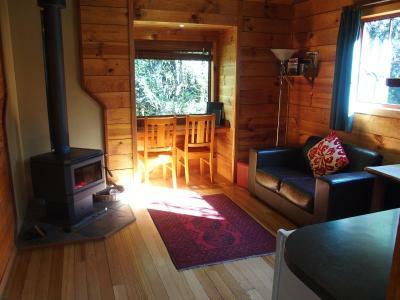 The cabin was gorgeous, and having the fire roaring on arrival was great. Absolutely Beautiful, put the heater on for us , after traveling all day & left the key out for us with a map. Information about the area & facilities. Very clean & fantastic facilities. Linen crisp & clean. Comphy beds & pillows. A lovely wooden cottage set amongst trees many of which were lichen covered. Like fairyland. Also very private. 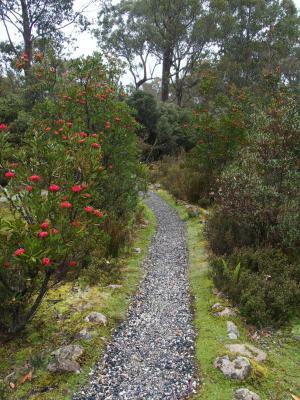 Perfect location for exploring Cradle Mountain. Cottage was so cosy and we'll equipped with everything. Loved our stay here! 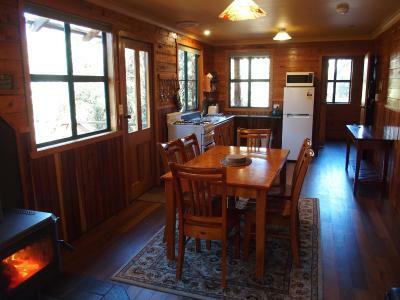 Fabulous location, fantastic wooden chalet with a very warming wood heater.